This is a one-nave church with six sides and a dome of stone sculpture on the portal. Trustee’s record is carved around the windows. 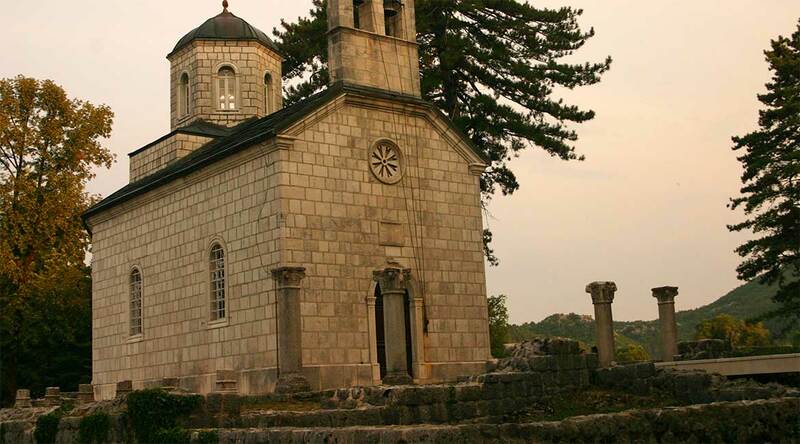 The church is a tomb of Ivan Crnojevic, master of the medieval state of Zeta, and the founder of Cetinje. At the entrance, along the southern and the northern wall of the nave, were built in marble tombs where in 1989 were transferred from the Russian church in San Remo remains of King Nikola and Queen Milena.